Tonight we welcomed the Mayor of Antrim and Newtownabbey Borough Council Paul Hamill to our weekly training session. 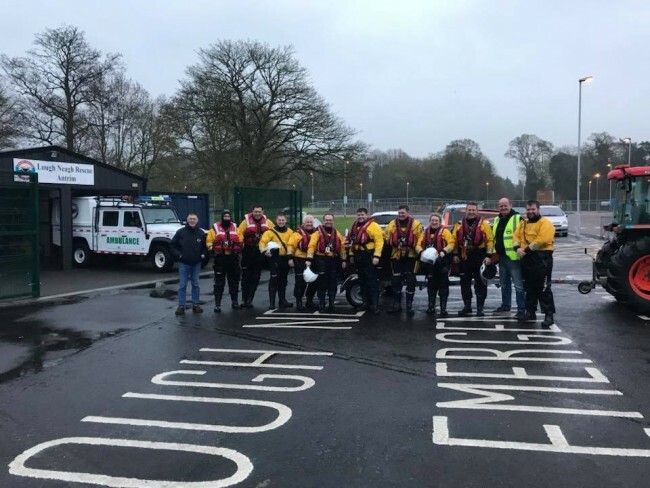 Paul was given a tour of our Antrim station and learned all about our organisation and the services we provide on Lough Neagh and further afield. After learning about the safety aspects of PPE and proper use of a Lifejacket, Paul then set sail on the Antrim Bay Lifeboat with a passage to Cranfield. Whilst travelling to Cranfield Paul was able to take in sights such as Shane’s Castle, River Maine, Farrs Bay and Rabbits point all of which are famous land marks on Lough Neagh. Once at Cranfield, Paul was able to help in a scenario of a “Man Over Board”. 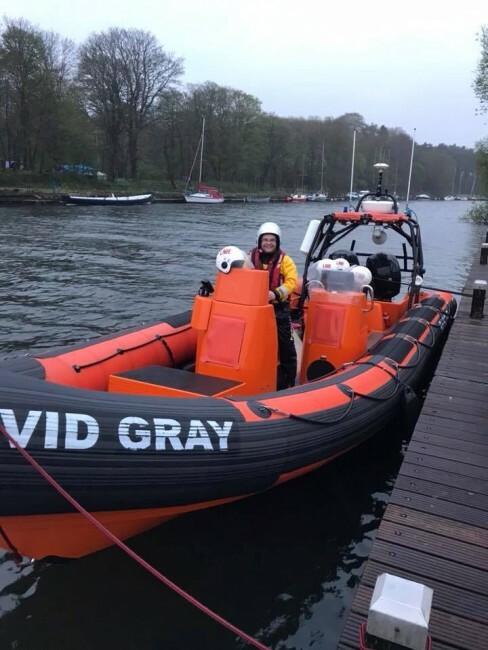 Our fellow crew members from Ardboe and Lifeboat the David Gray then took Paul to the Eastern shores of the Antrim Bay taking in sights such as Ballyginnif Sand Quay, Water Tower, Kettle Bottom Island and Antrim Marina. We at Lough Neagh Rescue wish to thank the Mayor for taking time from his busy schedule to visit us and to Antrim and Newtownabbey Borough Council for all the help and support throughout the years.